A few days ago, I sat at my laptop, crying snot en trane after reading Life is Savage’s heartbreaking, tear-jerker post about losing his beloved dog, Storm (http://lifeissavage.com/farewell-storm-i-loved-you-my-friend/). I had no idea that only days later, I’d be doing the same thing. 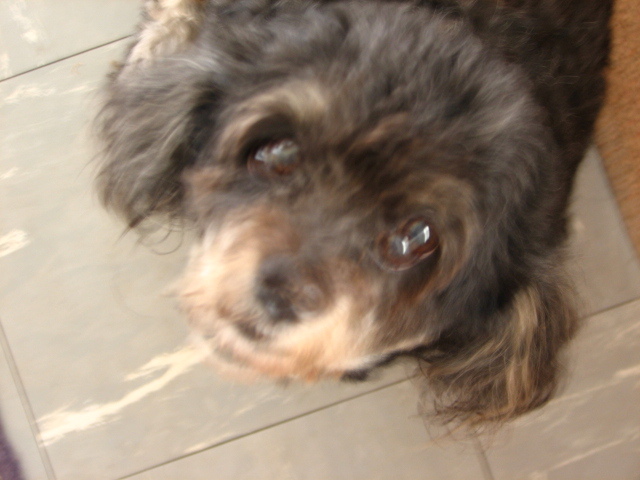 This morning, at 03h00, my brave old pup Abby became very ill. The pain of a growth on her leg had become too much and at 07h30 I was at the vet, sitting in the car, waiting for the inevitable. The whole family was in tears. My mom couldn’t face it so my dad and I took her. Even dad was crying. I had last seen him cry at my grandmother’s funeral, nearly 15 years ago. The vet’s assistant took her gently and dad took off her collar. I stayed in the car, coward that I am. When my Little Lion dog needed to go to the Doggy Do Parlour for a trim, she got so snappy and uncooperative that we had to sedate her. This little dog, the size of your average Maltese, required the same dose as a full-grown Rottweiler. And that was only to lightly sedate her. She still snapped at the people grooming her, only with a little less gusto. If you’re one of those people who subscribe to the “it’s just a dog” philosophy, this post definitely isn’t for you. But if you are like me and have been fortunate enough to have a furry companion in your life, be it canine or feline, to love you unconditionally, then you know how it feels to lose such a loyal companion and piece of your heart. Fuzzy pic, but the only one I have. ← To blog…or not to blog….about…?